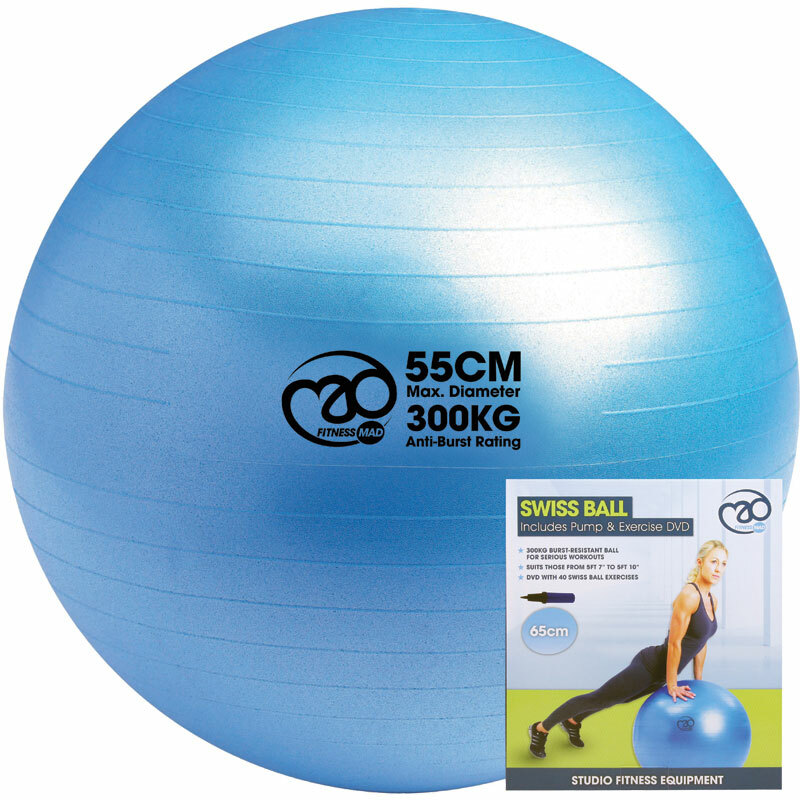 The Fitness Mad Swiss Ball is rated at 300kg. The Fitness Mad Swiss Balls have been independently tested for burst resistance to 500kg and static load tested to over 1,000kg without failure. Tested independently by SGS Laboratories. Anti burst rating up to 500kg. Perfect for warm ups, body weight only exercises and dumbbell workouts on the ball. Available in 3 different sizes - 55cm, 65cm or 75cm diameters. Please note ball only option is an unpackaged ball and doesn't come with a pump or DVD. 55cm gym ball - 1.3kg - under 5'6"
65cm gym ball - 1.7kg - 5'6" to 5'10"